AND SAVE 20% EACH NIGHT! Now through end of May, discover the beautiful island of Kauai with great savings. Sunbathe on secluded beaches, snorkel Kauai’s abundant reefs, hike the endless Garden Isle trails and experience the rich Hawaiian culture. 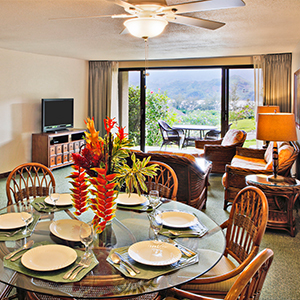 For a limited time only, save 20% each night when you stay this spring at Hanalei Bay Resort. *Save 20% ResorTime Promotional Rate is applicable to stays with a minimum length of 3 or more nights. Special rate auto-applied, no code required, and is applicable for travel during 02/26/2019 through 05/31/2019 only. Promotional rate will only be available for booking from 02/26/2019 through 05/31/2019 only. Rate is non-changeable outside of the promotional period. Rate is applicable to the 1 Bedroom Suite, 2 Bedroom Suite, Hotel Room and Studio. Rate does not include tax or daily resort service fee. This special offer is valid toward new bookings only. This special offer is based upon availability and blackout dates will apply.